Download the back catalogue of BCO annual reviews. Our way of informing members and intermediaries of the range and variety of activities the BCO carries out during the years. 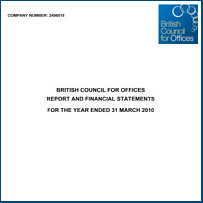 The BCO is publishing the Annual Accounts online for members only.